Want to make it on Sideshare? You should, it is one of the most under-praised yet powerful tools out there right now. Since LinkedIn stepped up and took it under their wing, it has even more social clout. Professionals that want to connect with other industry powerhouses should be jumping on board, stat. The problem is that not many users know how to make it really work for them. Which is fitting, given how few understand how to use LinkedIn, either. It was a match made in heaven. Luckily, it isn’t rocket science. You can learn to use Slideshare correctly through experience, trial and error. But to get you started, try this helpful checklist for both content creation and marketing your presentations on the platform. Know your audience. Who is it you are trying to connect with, exactly? Are these high ranking CEO’s in massive corporations? Peers in your industry? Potential employers? Potential customers? Because it is a versatile platform, it will have a versatile group of users. Target the right demographic for your needs. Ask what you have to offer. This is not a blog. You can’t recycle the same tired advice and have it take off because you gave it a snazzy name. You are among two major groups: experts and wannabe experts. So to be seen as valuable there you will have to give them something both high quality, and that they haven’t seen before (at least in the way you present it). Outline: Make sure you have a clear idea of what you are going to say in the Slideshare (I usually re-purpose the subheadings from my article to make the outline). Otherwise, you’ll waste lots of time moving the slides around. Decide on your slide number. This is important, because it is easy to get carried away when you go into creating a Slideshare presentation without some kind of guideline beforehand. Take a look at other popular presentations to see how many slides they average. KISS. The real challenge of creating a Slideshare presentation is cutting down your information into the simplest possible format, with the fewest possible words. You don’t want more than a sentence or two, or a small bullet point of information. You have to deliver all info in a rapid fire way. If it takes more than a couple seconds to get through a slide, it is too complicated. Design (Know your tools!) Most important thing: Make sure your slides are readable when they are zoomed out (that’s how many people will watch it through Slideshare). Having visuals, readable font and colors are great ways to make it more eye catching. Don’t clutter! Too many elements will quickly overpower the content itself, and work against you. Try to keep it clean and attractive, and make sure everything is relevant. If in doubt, stay away from images for anything but a cover background. Your viewer’s will thank you for not having yet another eyesore presentation for them to tolerate in order to get to your information. Here are great tools to create the presentation. Optimize! Use an essay format. A quick way to get your point across is to use an essay format for the slides. For example, you would start with a cover image with the title, then the next slide would tell them the points you will be making. Then each slide after explains each point. The final presentation slide will give your conclusion and tie it up nicely so there are no loose ends. The last slide will be your CTA, which we will discuss in the marketing portion of this post. Ask for feedback. Sometimes we can get blind to problems in our content because we have put so much heart into it. That is why third party feedback is so crucial. Ask a couple of people you know and trust what they think. Pick them for having different strengths; one for aesthetics, such as a designer; one from your industry to check over your information; one with no industry experience to see if the language and explanations are clear enough for a layman to understand. Don’t take criticism personally, but instead use it to inform any useful changes that could improve your content. Direct people to other content. This is one of the single most things you can do in a Slideshare: redirect. Create links that open in new tabs and go to either other Slideshare posts, or other relevant content you think the viewer might benefit from/enjoy. Don’t overdo it, instead providing one to three. This one action can vastly improve your traffic and visibility. Create a CTA slide. As mentioned before, a CTA slide is an important inclusion to your presentation. It does not have to be counted as part of your slide count. Decide where you want to direct conversions: communication and engagement? Social media? Your website? Product pages? Your Slideshare profile? Don’t overcrowd the slide, but provide a few conversion efforts there, so you can make the most of your content. Gather emails. LinkedIn enacted a feature on Slideshare called LeadShare. You can ask people for their email addresses in order to download your content. This is a quick and easy way to build a viable list of leads, and to start an email marketing campaign. That can extend well beyond your slideshows, so it is a must for anyone that wants to really kick things up a notch. It is available for Pro members, which is a cost efficient way to build an email list. 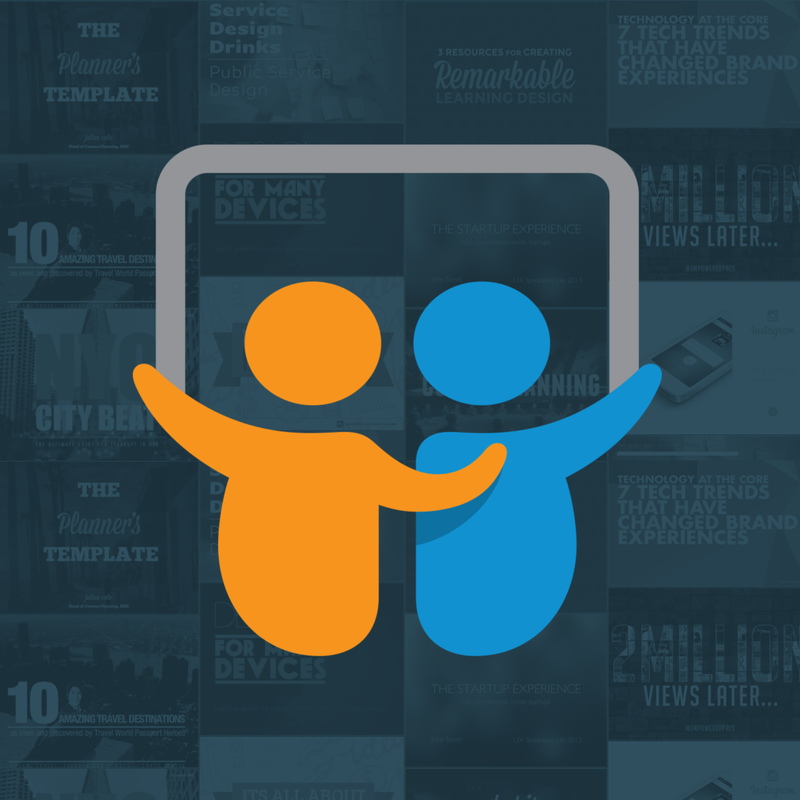 Embed your Slideshare presentations. This is a no brainer. Your blog is a great place to embed Slideshare posts, as are guest posts from sites that don’t mind the redirect. Make sure you are promoting anywhere you can. See? It isn’t difficult. Just follow the checklist above and before you know it you will have an awesome campaign running based around Slideshare content. It is one of the best ways you can use visual and rapid fire data to promote yourself and your brand. Not to mention a platform that isn’t as crowded as Twitter, Pinterest or Facebook. Have any tips to add to the checklist? We would love to hear them, so share them in the comments below! very love, it’s so useful..
Had not heard of leadshare so must investigate. Anything where you are building an email list is useful. I agree! Plus it also works great! Thanks Ann for the awesome tips. Once I used to create contents on SlideShare and they also ranked well on Google, but it has been many days I wasn’t there. Your tips will help to create more awesome contents there from next.